If you did it once, you’d be fired. If you did it hundreds of times, you’d go to prison. Why should a corporation worth billions of dollars be treated more leniently than we individuals? “Volkswagen has admitted installing software in 11 million vehicles that was used to provide false results about emissions, though it was not clear if it was used in all countries where the cars were sold,” The New York Times reports. The United States, however, accounts for 20% to 25% of the automaker’s sales. 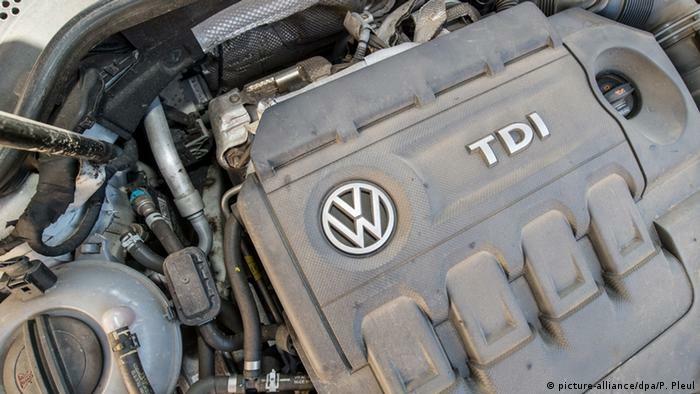 VW executives broke federal pollution control laws. They knew they were breaking those laws. And they did so on a massive scale. Now I want you to imagine, if you can, what would happen to you, if you did the same thing — assuming you were in a position to do the same thing. If the feds found out that you’d rigged your car with a device that fools state vehicle inspectors into thinking that your pollution-belching piece of crap was as green as a Leaf, they’d take your car off the road, maybe confiscate it. They might slap you with a stiff fine ($25,000 in Texas, $295,000 under federal law). Maybe even a jail term. Volkswagon will wind up paying hundreds of millions of dollars, or more, to the U.S. government for this crime. But that’s far, far less than they — or their top executives — deserve. We live in a time in which corporations enjoy the same benefits as people, and in which some politicians even claim that they are people. Shouldn’t corporations face proportionately equivalent penalties when they commit crimes? Let’s start with civil penalties. The average American citizen has a net worth of $45,000. A $295,000 federal civil fine would wipe him out six times over. Since VW has assets of $14.4 billion, the equivalent civil fine should be $94.4 billion. VW should cease to exist. Alternatively, it could be nationalized by the U.S. government, with its future profits used to pay down the deficit. Anything less tells American citizens that they are worth less than a corporation. Not even an American corporation — a German one. A German corporation founded by Adolf Hitler! Then there’s the issue of criminal penalties. The maximum term for fraud under federal sentencing guidelines is 30 years in prison. Seems fair in this case. Let the company’s top executives face those terms, as well as the company itself — it should be placed in a virtual financial “prison” by being banned from operating for its own financial advantage for 30 years as well. Of course, the chances of VW being put out of business, or its execs facing prison for their crimes, are zero. Corporations are responsible for lawbreaking and murder on a scale that Jeffrey Dahmer couldn’t have imagined. So why is it just little old us, private individuals, who get the book thrown at us? Look at, if you can stand the stink, British Petroleum. Federal and state fines and settlements related to the catastrophic 2010 Deepwater Horizon spill in the Gulf of Mexico will total $18.7 billion. Sounds like a lot of money, but thanks to quiet leniency by the Obama Administration EPA, that expense will mostly be tax-deductible. Not to mention, it’s a drop in the bucket. BP has $87.3 billion in assets. Which means its total cost for the Gulf spill is just 21%, barely over a fifth. BP will be able to pay off its entire Gulf spill tab with just over a year of profits. No layoffs. No salary cuts. No replacing the gold faucets in the bathroom of CEO Bob Dudley, who “earns” $5 million a year. If we’re going to treat corporations like people, let’s treat people like corporations. Either slash the penalties we face when we screw up — or ramp up those faced by big companies so they’re in line with ours. This entry was posted in Blog, Columns and tagged BP, CEO salaries, Citizens United, civil penalties, Corporations, Crime and Punishment, Deepwater Horizon, emissions scandal, fines, impunity, mitt romney, Volkswagon, VW on September 24, 2015 by Ted Rall.